Spring time is definitely a time for some color blocking, which you can try to do with your clothes or maybe by using different nail polishes to create some interesting nail design. So, today we would like to get you inspired to try this interesting nail trend by bringing to you several Easy Step-by-Step Color Block Nail Tutorials. 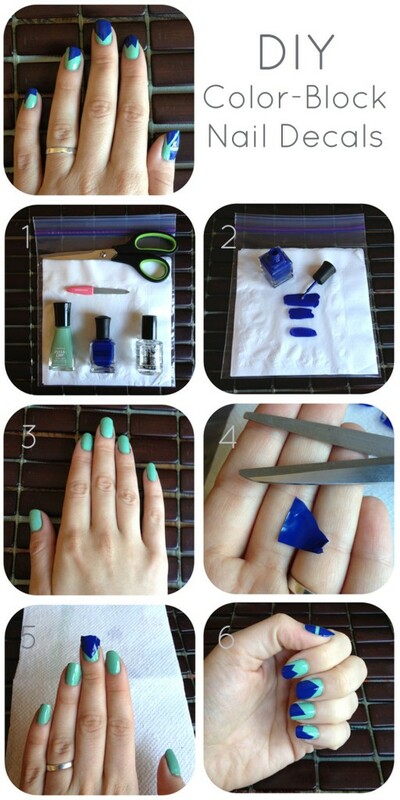 These nail tutorials are so easy to be done and you will definitely have some fun when doing them. What you need to do first is to choose which colors you will use. After that decide on which pattern you will go for, whether a horizontal, vertical, diagonal one, or maybe some combo of them. And in order to do them precisely, you will have to use some washi tape for that, so that you can separate the colors. Also, striping tapes can come in handy in case you want to make some smaller color blocking space. Scroll down to see the color block nail tutorials that we have chosen for you today, and choose which one you will try to copy. The time spend for doing these nail designs, depends on the number of colors you will use. Always make sure to wait until one coat of nail polish is dry, and after that remove the washi tape and apply a coat of other nail polish. Choose the colors that will match with your outfits, or maybe go for some contrasting ones, and create some really eye-catching nail design. Scroll down to see the rest of the color block nail designs that we have chosen for you today, and choose which technique you will use for doing these interesting and trendy nail designs. 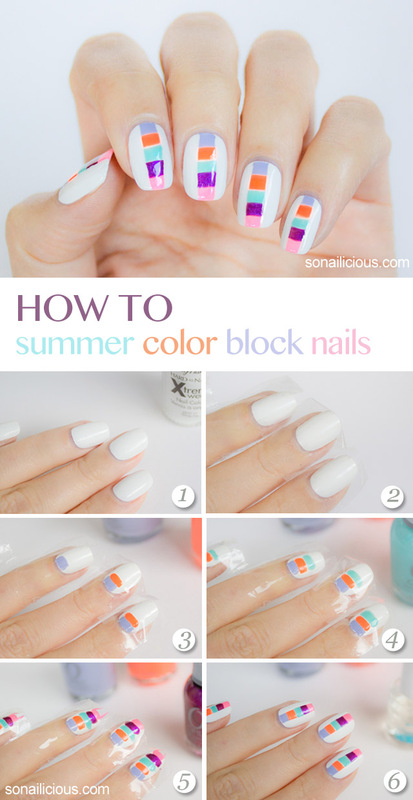 These were the color block nail tutorials that we have chosen for you today and we hope that you will try to copy all of them. 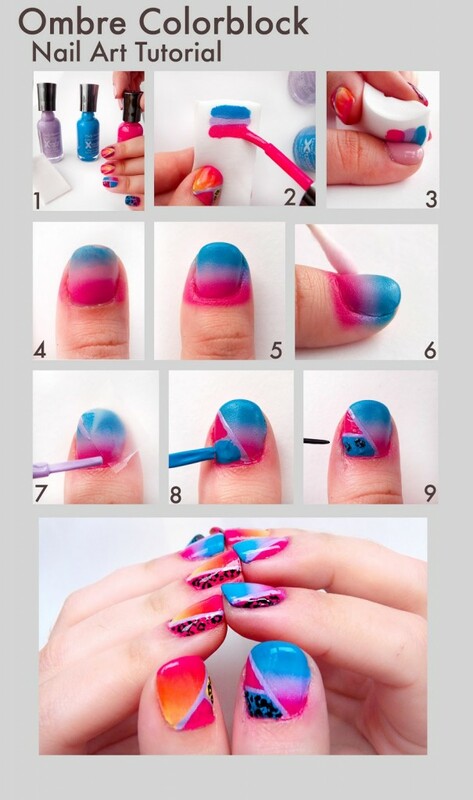 Follow the steps precisely and you will have the perfect nail design in no time. Thank you for reading and don’t forget to stay up to date with our content to find other inspiring nail tutorials.